Also along the trail was a bunch of dog bombs. Not on the grassy parts along the side but ON the trail itself. 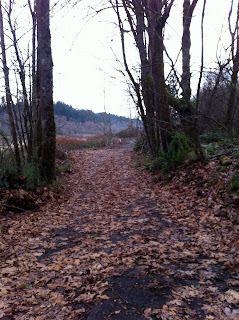 It really made me have to weave around the trail with the jogger, which is not easy, and I nearly escaped poo-free. 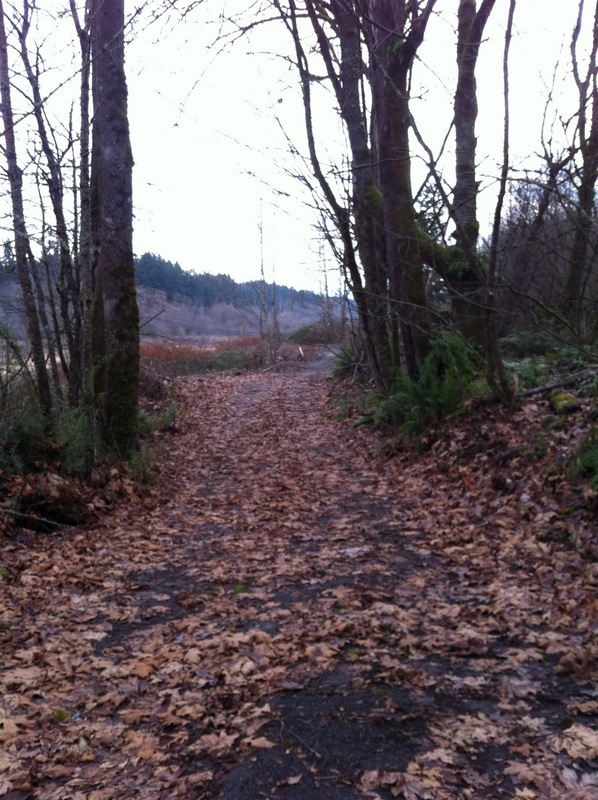 At the very end of the run, my arms were tired, and as I was weaving to avoid a huge dog dump I swerved into another. Great. Poo on the jogging stroller. Gross. I mean, who lets their dog take a crap on the middle of a popular trail??? Back on a run with Kerrie some months ago we came across a whole bunch of garbage dumped at the foot of a big hill. We thought we saw a treadmill-like contraption, among other household items: clothes, sleeping bags, books, etc. Well, looks like the city did something about it and put up a sign. So there are wild bundt cakes out here too? There's a telephone pole that always has pictures on it, most in plastic baggies, and usually of birds spotted in the area. This time around the sign pole held pics of baked goods, and on the back of the pictures were recipes. Weird. Was it a geocaching thing? Dunno. You always see the craziest stuff running!!! Very sad about the house. Kudos to Goober for making it the whole way! Em is a short run gal now! 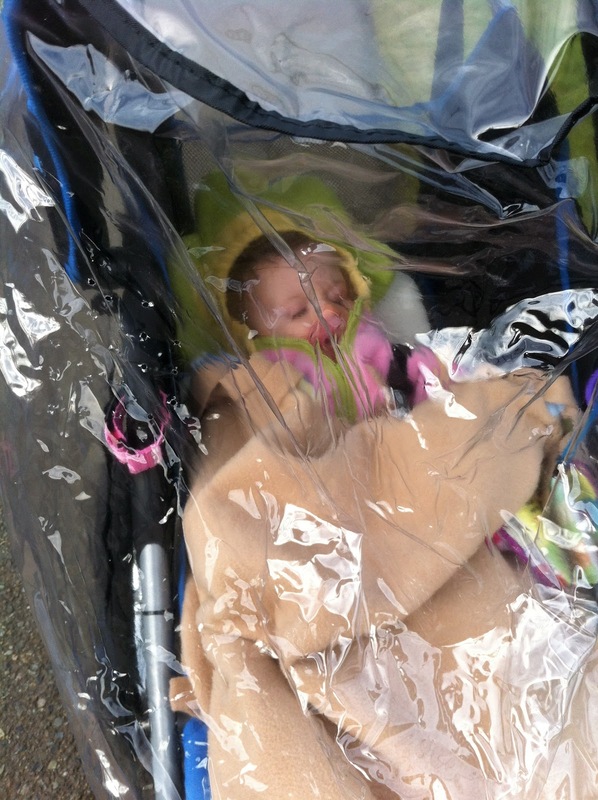 Good job for running long with the stroller. Farthest I've run with my stroller is 5 miles. It's always sad to see remains of houses after a fire especially when you see little toys :( I always hope the families were ok and got out in time. The random pictures on the post is hilarious, wonder who puts them there? What fun! 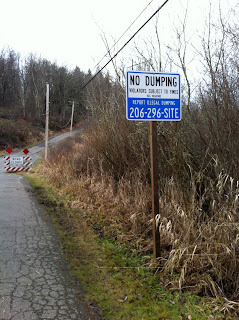 I love Soos Creek. Though abandoned houses sounds creepy! I'm not sure I've run that part of the trail, is it by the farthest south part? Happy weekend! Fun plans? 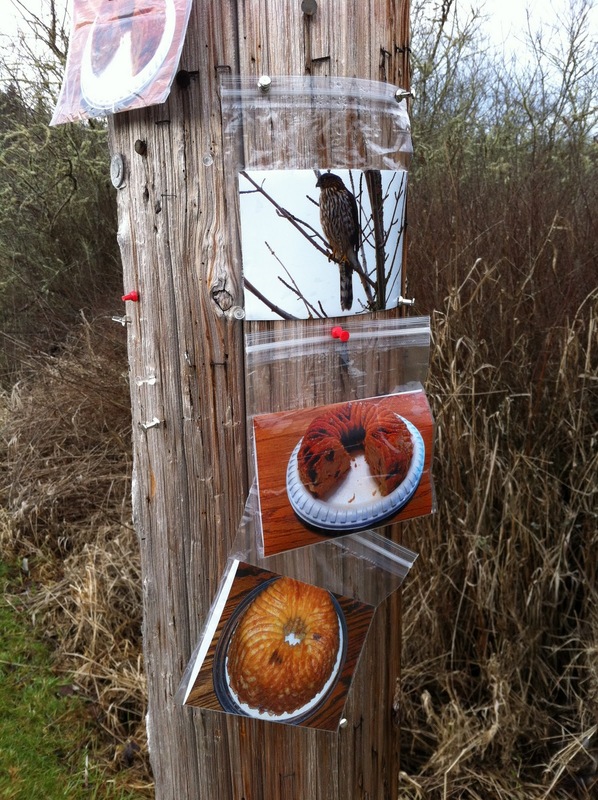 Who puts pictures of cakes on telephone poles?! LOL That's a first for me!